Hello all. Sonja here with my last post for CutCardStock. I decided to go with a simple 'thinking of you' card. With one sheet of Classic Crest Patriot Blue and two sheets of Classic Natural White, I was able to make two cards. The first card was posted a few weeks ago and can be found here: Congrats card. To make this card, I got to play with some old and some new toys. 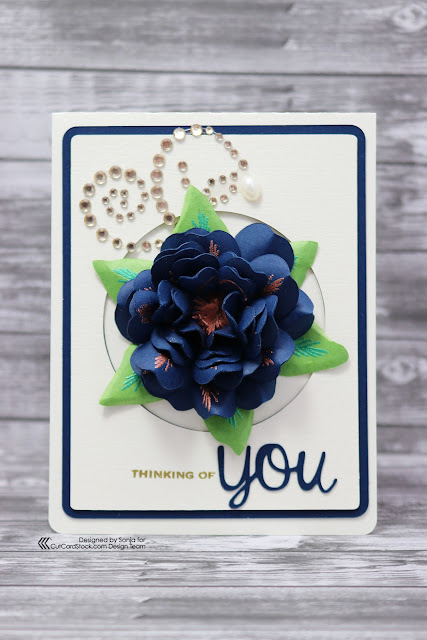 The 'you' part of the card is just the right size to get glue everywhere and with the dark blue color, I didn't want to chance it. So I grabbed my Xyron Create-a-Sticker and ran it through. The adhesive is evenly distributed on the back for a sure clean way to adhere it to the ivory cardstock. 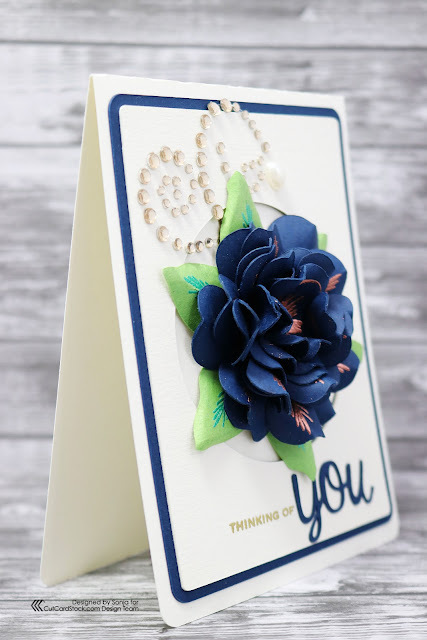 After cutting my flower petals out with the Silhouette Cameo 3, I grabbed my copper embossing powder, versamark ink, and the Springtime Wishes Close to My Heart stamp set. This step is optional, but I wanted to see the copper against the deep blue. Below is before heat was applied. After the heat is applied. Next I grabbed my new set of McGill McGill flower rollers and set out to shape the petals. 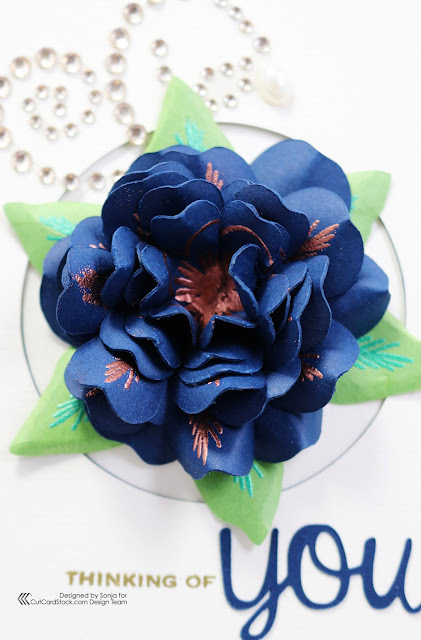 This is a heavier cardstock so a spray of water to the back of the flowers allowed me to shape them better. Thank you for looking at my final project for CutCardStock. It's been a pleasure. 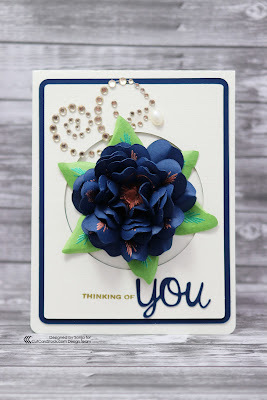 To continue following my projects, take a look at Sugar Bean Cards. Best of luck to the new design team coming in!